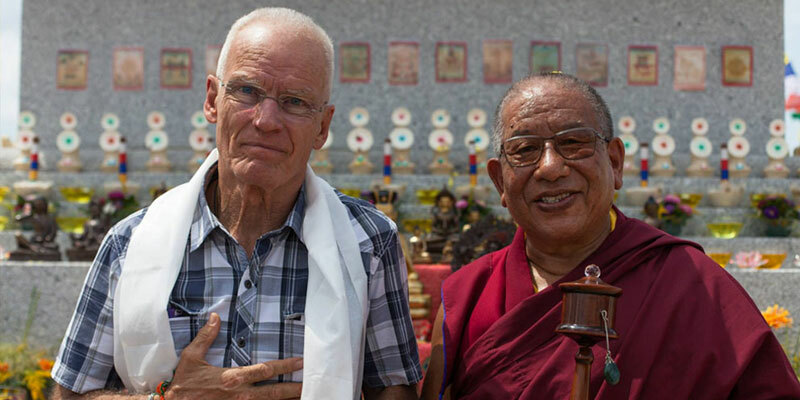 Having judged this an auspicious time for further insight and growth, the accomplished Maniwa and meditation teacher Sherab Gyaltsen Rinpoche has recommended that Lama Ole begin a closed meditation retreat. Sherab Gyaltsen Rinpoche has regularly given teachings and empowerments at Diamond Way Buddhist courses in the West, and has been a valued teacher and friend to Lama Ole for many years. Lama Ole began his retreat on July 14th at the summer course in Lolland, Denmark. In addition to his closed retreat sessions, Lama Ole will give a daily teaching session at the Europe Center summer course in southern Germany, and the New Year’s course in Sofia, Bulgaria. At Lama Ole’s wish, all his other courses and lectures will be given by Diamond Way teachers, until he gradually resumes his teaching activity in February 2017.